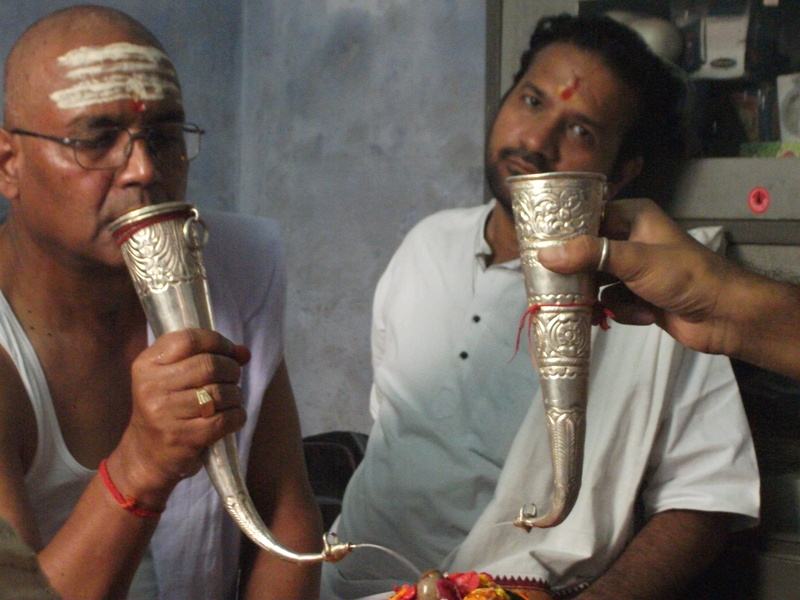 This whole last week, been busy shooting the death rituals in a hindu brahmin family which according to Sh. 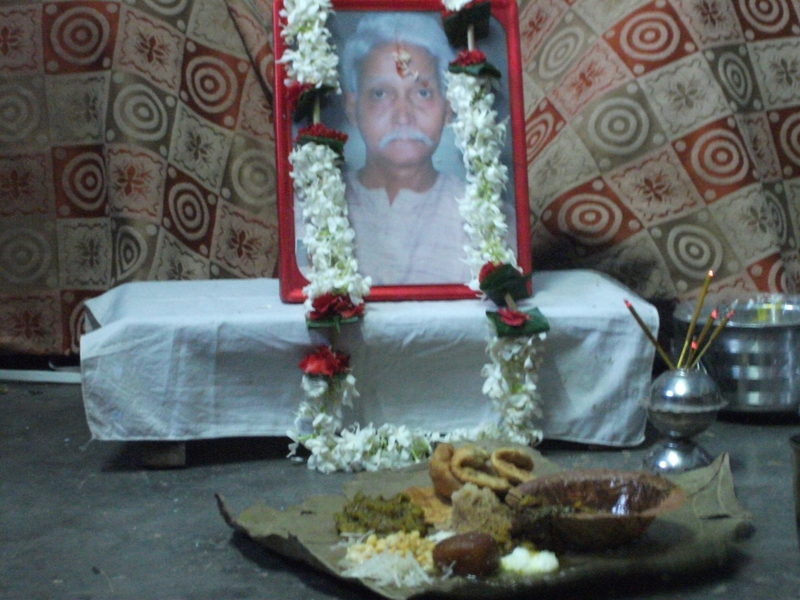 R.S Pandey is a must to relieve the soul of the dead. I remember attending such events, but never something like this. We covered the 10th (daswa), 11th (gyarwa), 12th (bahrwa) and the 13th day (terwa) which was the “Seh Bhoj”. 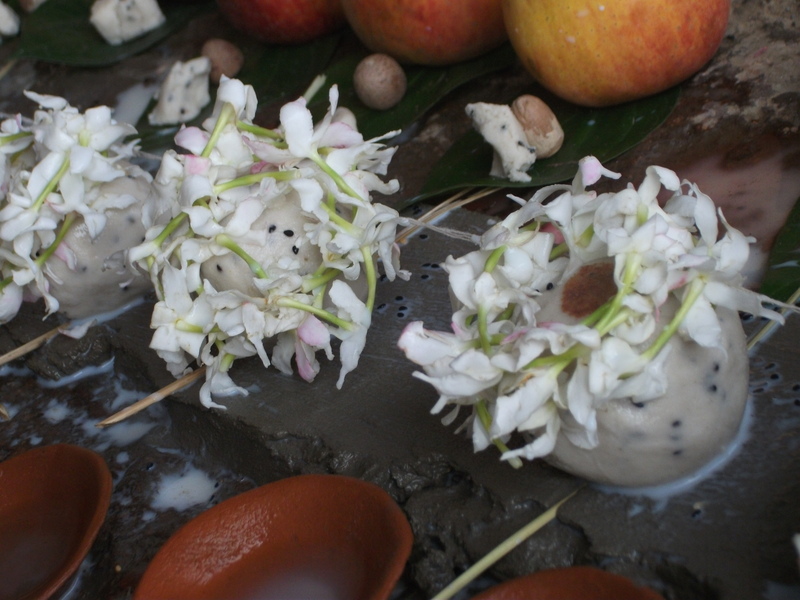 The 10th and 11th day ceremonies were at the Tulsi Ghat at the banks of river Ganges. The heads of all the male children/grand children were shaved off and the traditional practices followed and the priest chanted along. The 12th and the 13th day were meant to donate to the priest (although donations were a prominent part of the whole event). 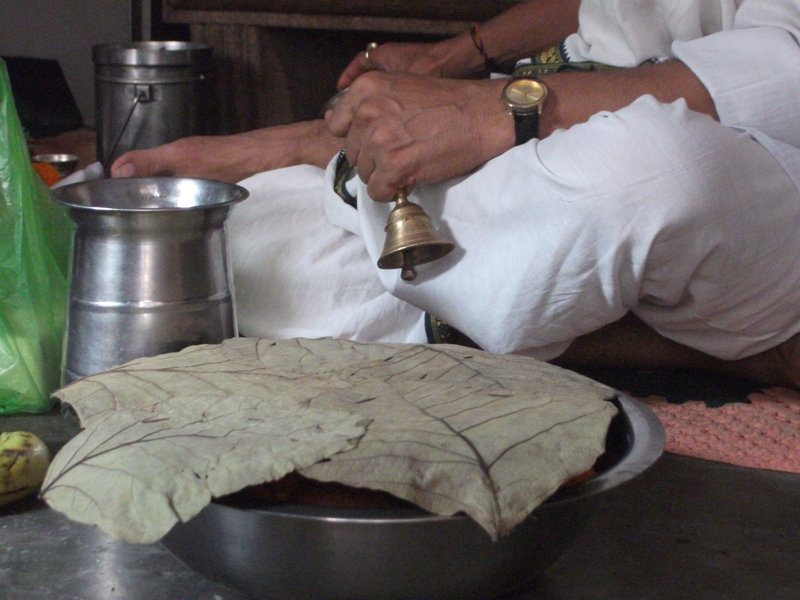 It is believed that the priest’s got the mantras (from vedas and puranas) which could liberate the soul of the gone. 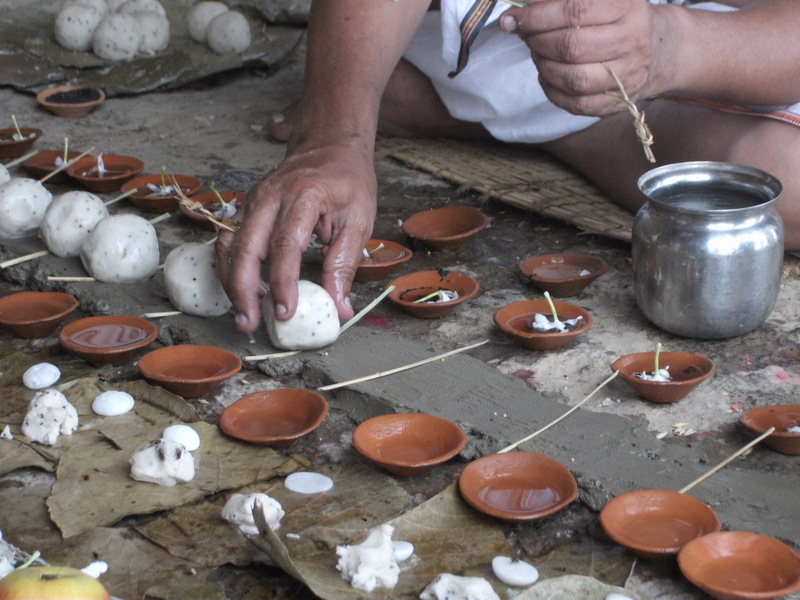 Also, these practices are meant to purify the family and the house to reopen it for the guests. 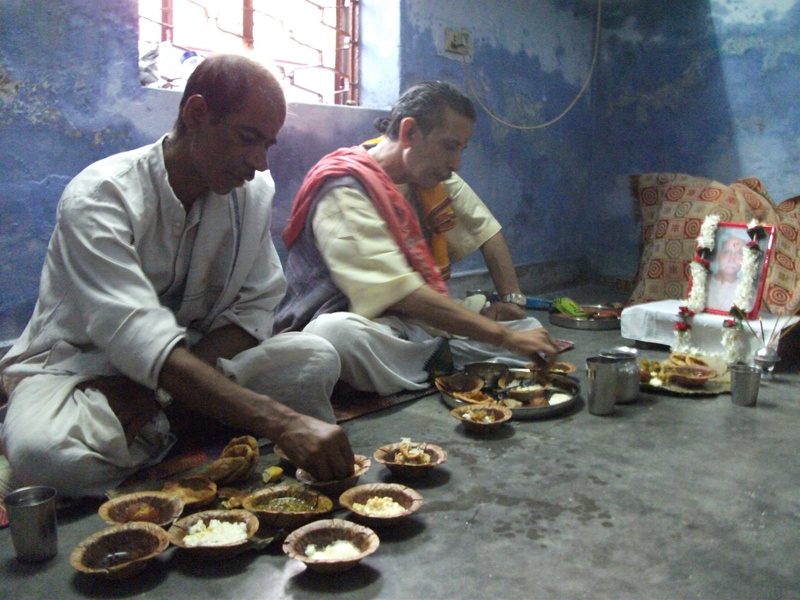 The 12th day is to feed ONE BRAHMAN PRIEST and the 13th day is meant to feed 13 BRAHMAN PRIESTS. During the whole 4 day ceremony, felt that there’s a lot of art, music, tradition, energy, belief and respect for culture involved. By the end of the last day, we ourselves envisioned that some strong energy just bid farewell to the family and moved out of the hearts of the family. The priest played the most important role, of course. Upon talking to a few of them, they seemed to be really knowledgeable about such practices and even explained why such practices are important to purify the family of the gone and also to make sure that the soul of the dead reaches a safe place around “heaven”. We’re down to editing this film, focussing on the major elements of the ceremony, such as priest, prayers, traditions, money, women’s position in the whole scene, shiva chants, ganges in the background and a bit about the family. Coming Soon in Upkatha 03. 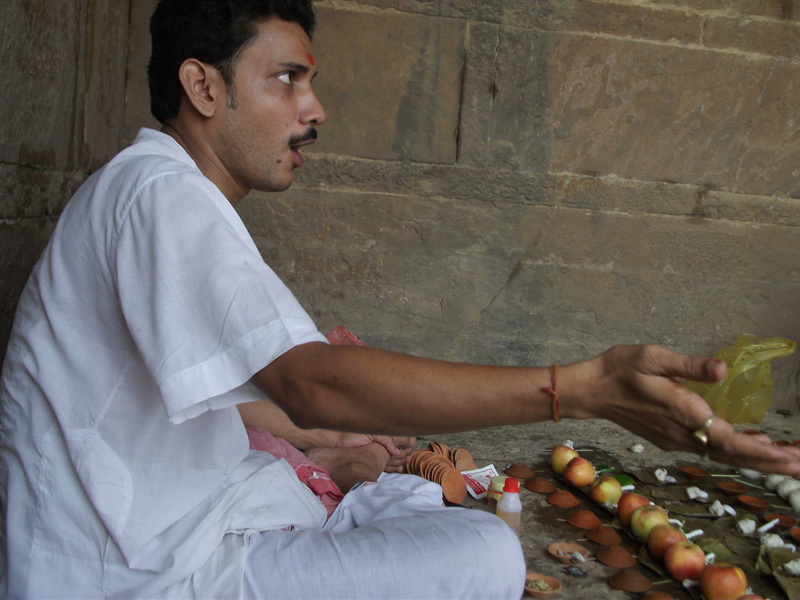 The perception of death in Kashi is a very interesting subject to study. As the city believed to have been created by Shiva himself at the very dawn of creation, and as the final resting place of the universe on its destruction, it is both the progenitor and the cremation ground of the entire universe. It is known by the name of Mahashmashana, or ‘The Great Cremation Ground’, where the dead can be buried anywhere in the city. Although now restricted to the two burning ghats, Manikarnika and Harishchandra, there was a time in the city’s glorious past when the dead were indeed burned anywhere in the city. For the Hindus, death in Kashi is believed to bestow moksha, or salvation, to their souls. Thousands of Kashivaasis come every year for the sole purpose of dying within the bounds of the sacred city. However, there is a very interesting play of approximation and extrapolation here, for it is believed that if one is not fortuitous to die in Kashi, his relatives can bring his ashes to Kashi and disperse them in the Ganges there, or send them to Kashi via parcel post. That being not possible too, they could visit Kashi during the fortnight in the month of Bhadrapada called pitrupaksha, and perform the shraddha rites, that you have so interestingly described here. 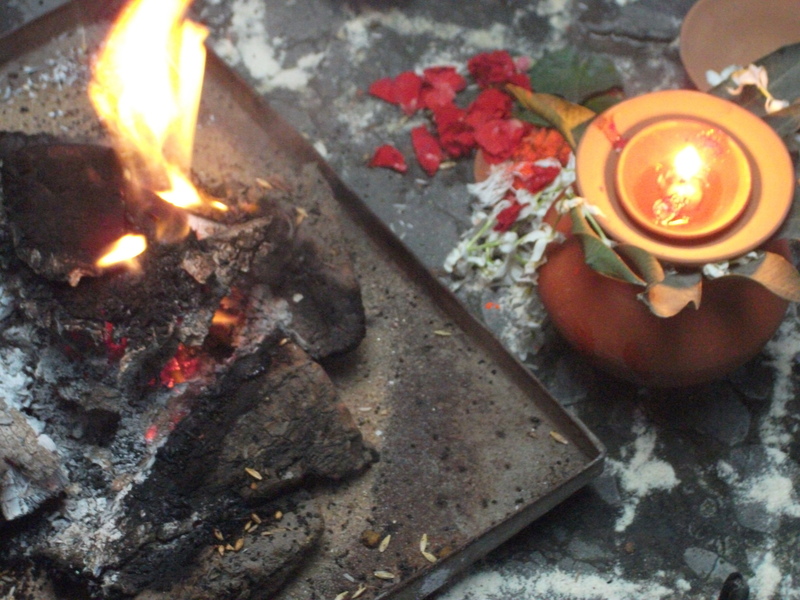 In most Indian cities, the cremation grounds are usually located outside the city limits, for they are believed to be the most profane of spaces. 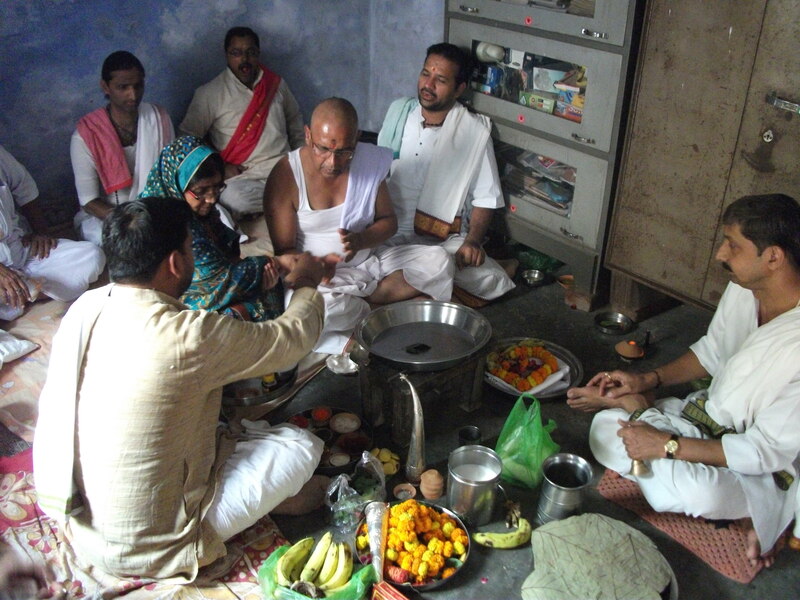 Members of a funeral party are required to undergo rituals of purification before entering the thresholds of their home. However, in Kashi, even death assumes the quality of the sacred. I find, in your description, the paradox of performing purification rites for the dead in Kashi as well, the city where even death is pure and sacred, very interesting. thank you for sharing this. hoping to see you back here in kashi soon. Espírito Kashi is registered under India Trusts Act, 1882. The content appearing on this website is a copyright of Espírito Kashi. E-mail us at espiritokashi@gmail.com before using any or part of the content. WordPress.com.